This series is about a style of architecture that repelled me when I was growing up but that I now find strangely attractive. 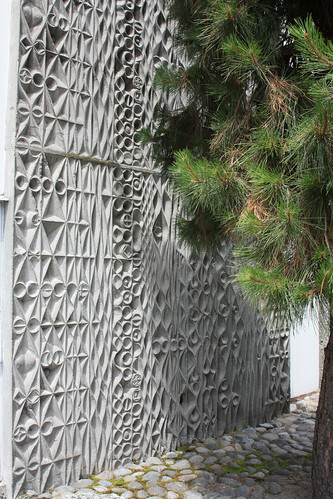 These examples of brutalist modernism are all from Vancouver, but there are equivalents all over North America. 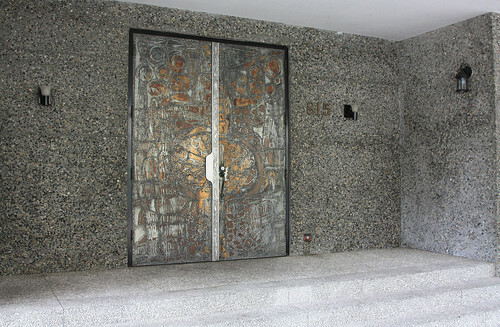 The brutalist hand-etched steel front door of this building is a classic in this style.